Infinite Golf’s goal is to provide customers with an unforgettable golfing experience. Infinite Golf features state of the art virtual golf simulators for golf players of all ages and abilities. 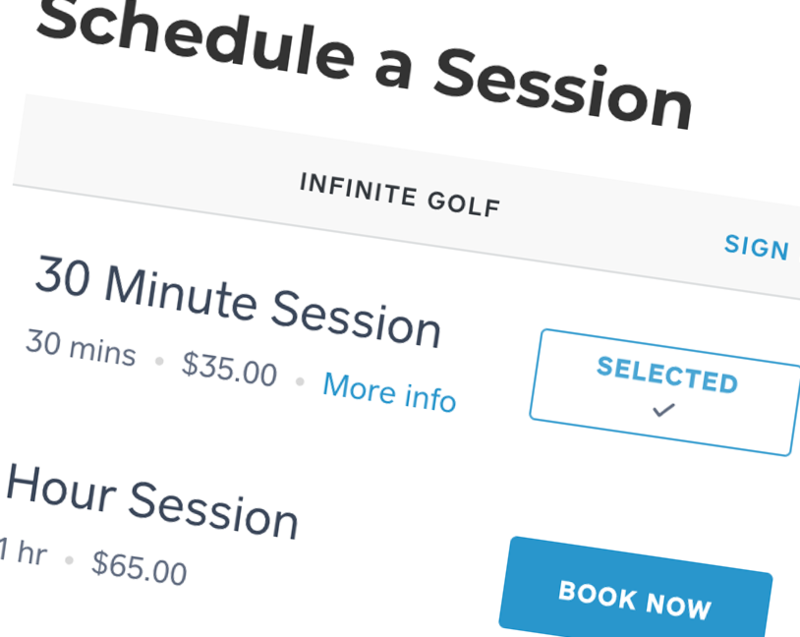 Infinite Golf reached out to DC Dev Shop with the need for a website for their brand new business, as well as hosting and maintenance services. Their website needed to be designed to emphasize their product and service, which is providing customers with an indoor golfing experience using state of the art virtual golf simulators. The website had to be clean and simple while explaining Infinite Golf’s mission. And most importantly, the website had to allow customers to be able to reserve a simulator ahead of time and allow online payments. Since Infinite Golf was a brand new company, DC Dev Shop lended their services in everything from branding, to design, to development. 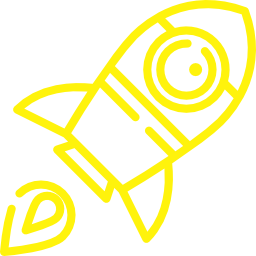 DC Dev Shop focused on keeping the design for the website very simple and clean, so as not to take away from the company’s mission and services. Infinite Golf did not have a logo or branding before the start of the project, so DC Dev Shop provide suggestions for logo design, branding colors, and typography to use throughout the website. Copy for the website was also created by the DC Dev Shop team, which was edited to provide the right message to potential customers. To add in the online reservation and payment features on Infinite Golf’s website, DC Dev Shop used SquareUp. 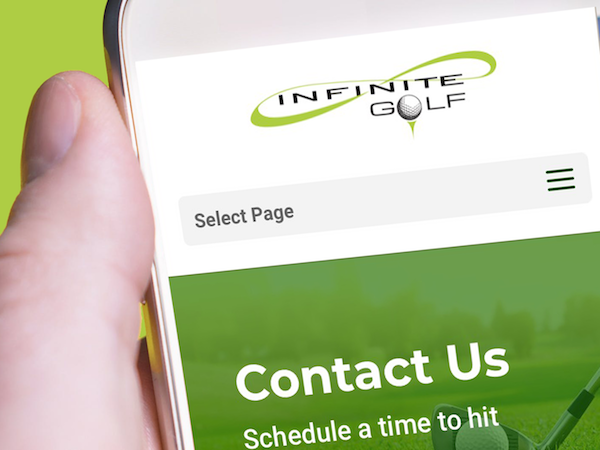 The main goal of Infinite Golf’s website design was to give a sense of professionalism while also throughly explaining the company’s product and services. DC Dev Shop worked to meet a strict deadline, as it was important that the website was completed and live before Infinite Golf’s doors opened to the public. Our team had many meetings with Infinite Golf, making sure that every aspect of the website emphasized the company’s message and brand. 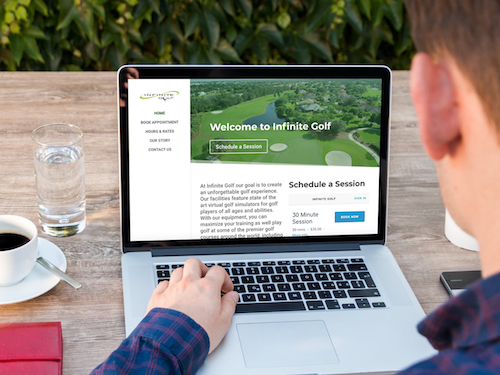 We continue to support Infinite Golf with hosting and maintaining their website. Make sure to check out the Infinite Golf website here.